Preposition Rules are very important for you. If you are students, or job seekers or learn to English, then you must know about Preposition. Preposition is very important for English. 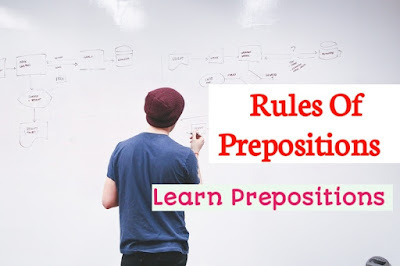 So here we everyday discuss Preposition rules and Preposition Examples. Today, We discuss useful Preposition rules 'About', 'Above ', ' After', 'Against'. Next day we discuss others prepositions. So you should read carefully this post and all of this blog Post. I know nothing about his bussines. I am glad about his success in Proffesor.